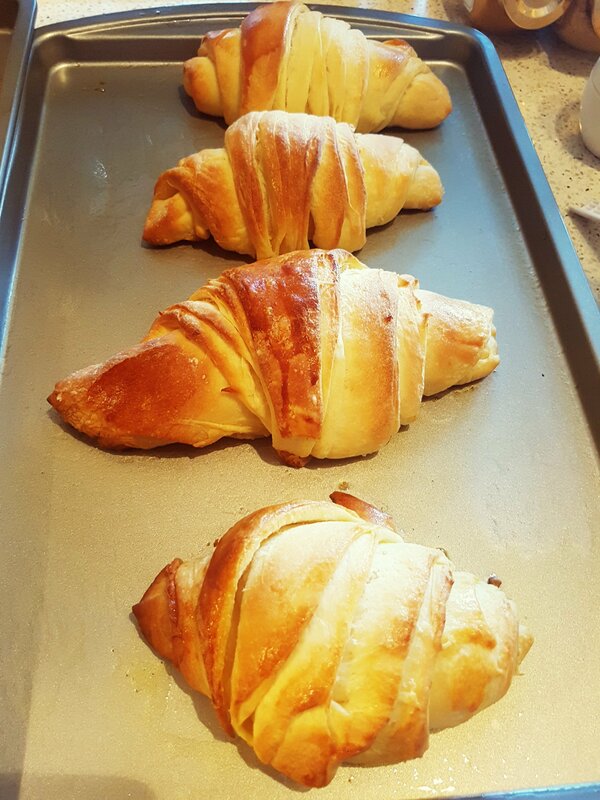 My whole kitchen smells like croissant. What a pleasant perfume!! Bonjour ! From Australia with love . 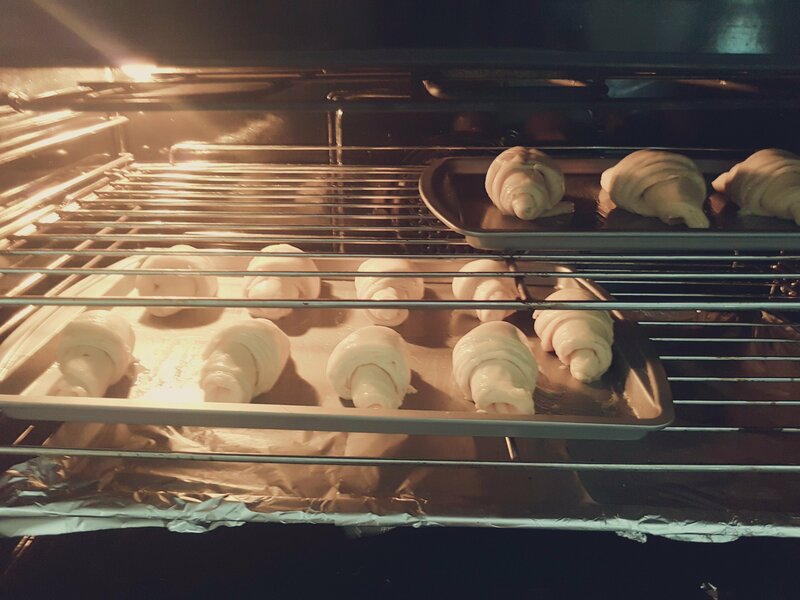 Some years back when i used to live in the suburbs of Paris, i couldn’t resist the scent of fresh baked croissant fron the backery next the Lagny sur marne train station. 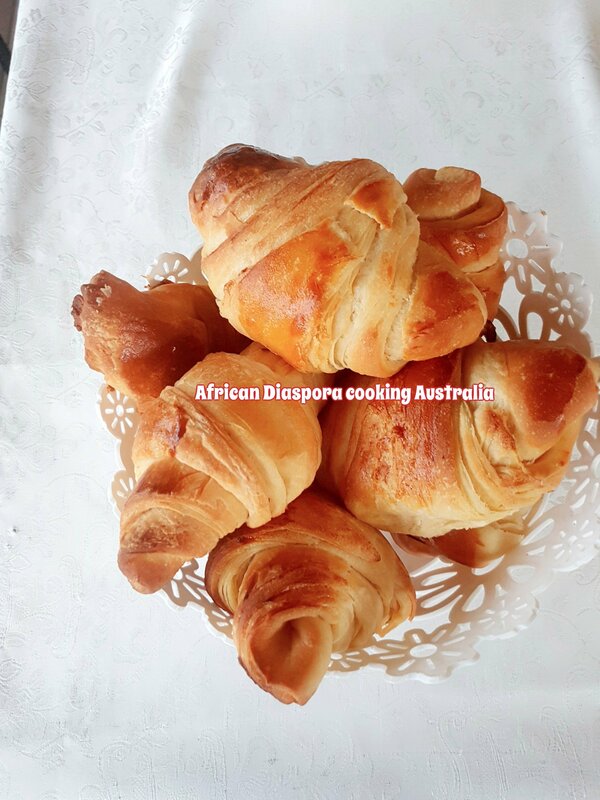 As an African living in Paris i was so curious why the French bakeries makes the best croissants. In my country, croissance are expensive and are luxery snacks. In Paris l could eat many in a go because there were very light and so delicious with crisp exterior and creamy buttery interior. 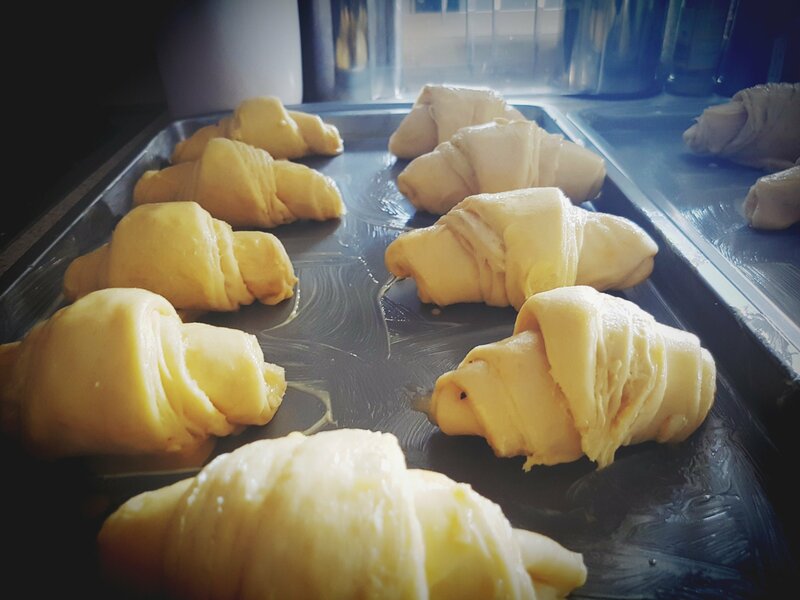 The flakky layer of croissant is as a result of the dofferent layers with butter toppings many times. I had 16 layers, each layer with grated butter. 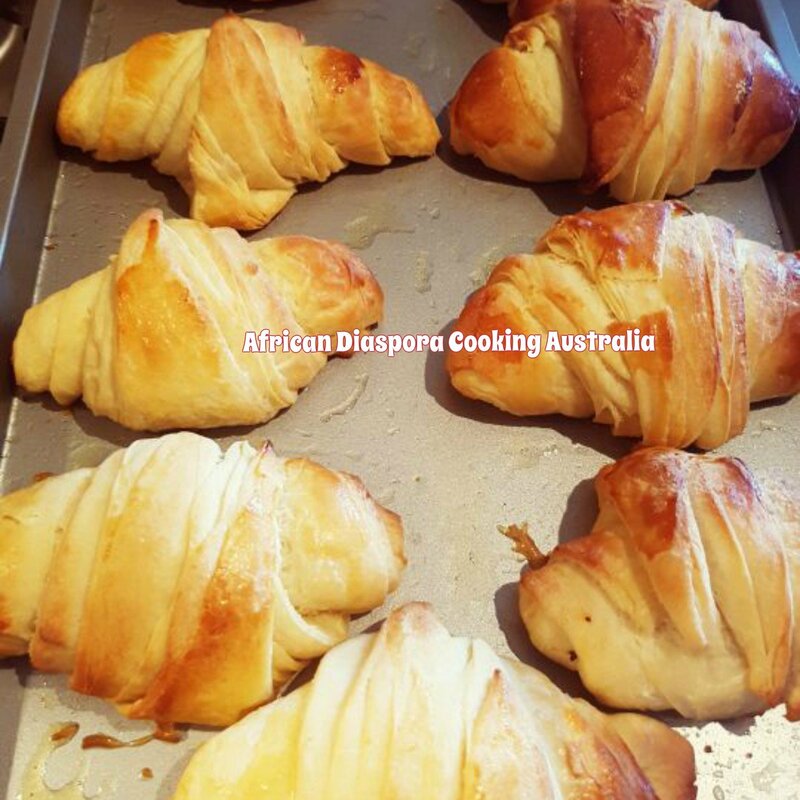 It demands patience and time to make croissants its not a quickie project. 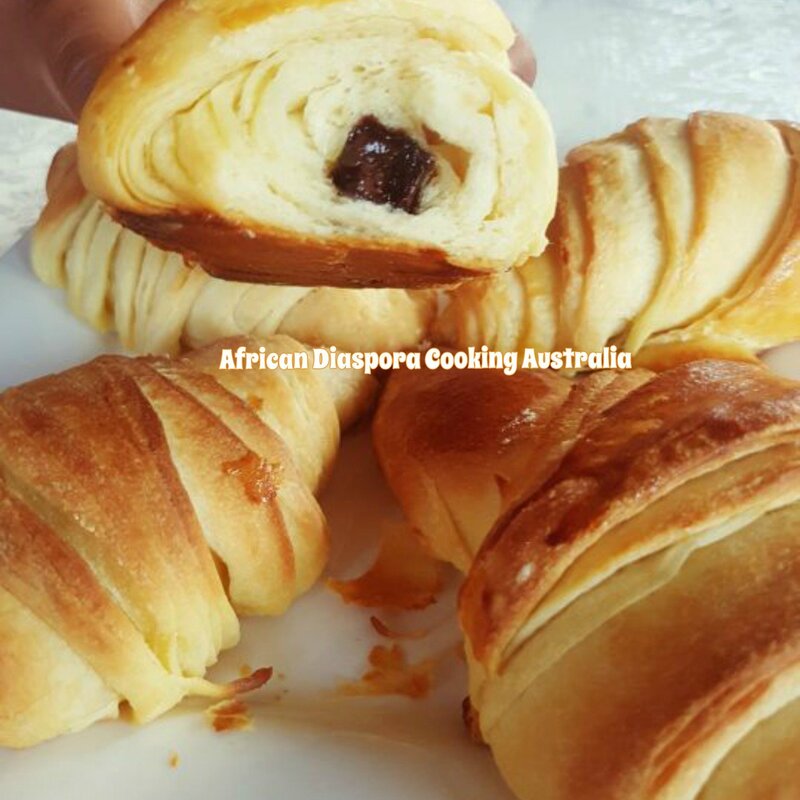 Croissants are very amazing and incredibly easy to make if you follow my re ipe step by step. Try to watch my video too, it helps alot. If you follow up my recipe carefully your croissant will turn out to be supper fluffy inside. 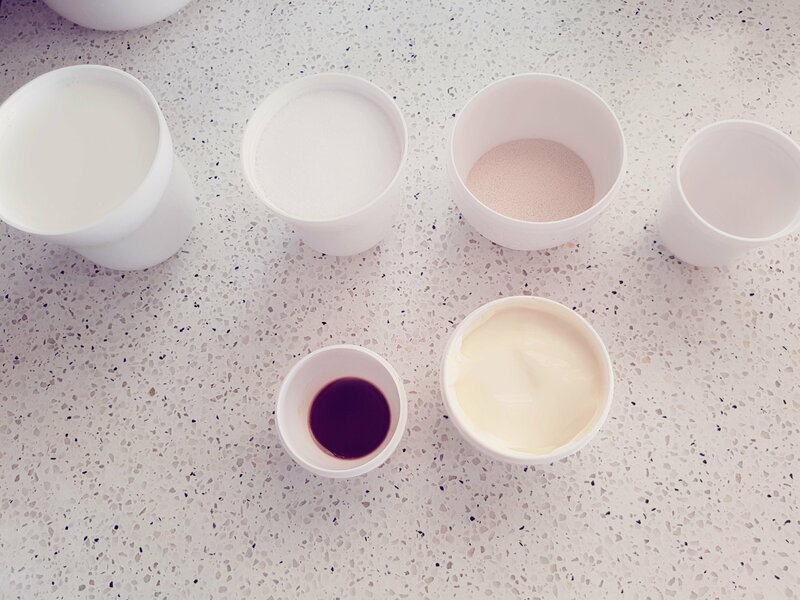 In a mixer bowl pour milk yeast and sugar and keep for 5- 10 mins to rest. 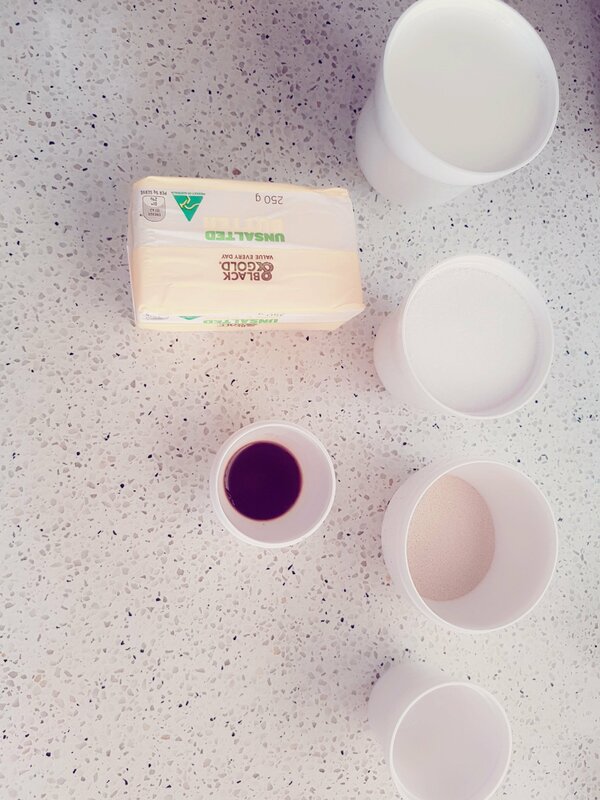 Now incoporate sift flour , butter, vanilla essence and salt in your yeast mixture and give it a good mix. Dump mixture on a kichen work surface and knead with your hands for 8 mins. 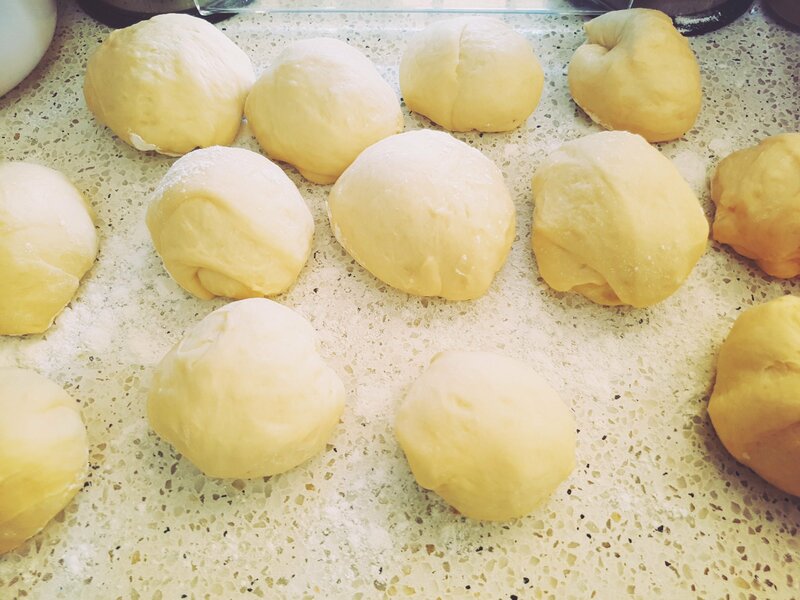 After giving it a good knrd the dough will look smooth and form some light balls that will deflate gradually as you knead. 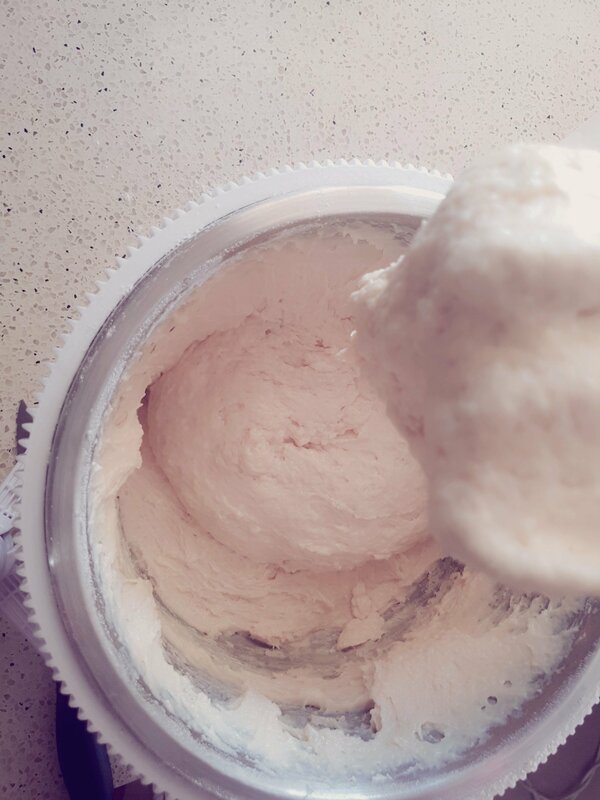 Now grease your bowl with butter and move your dough from work surface into the bowl. And then wrap with a cling wrap and keep in the fridge for and hour to rest or more. It will double in size. 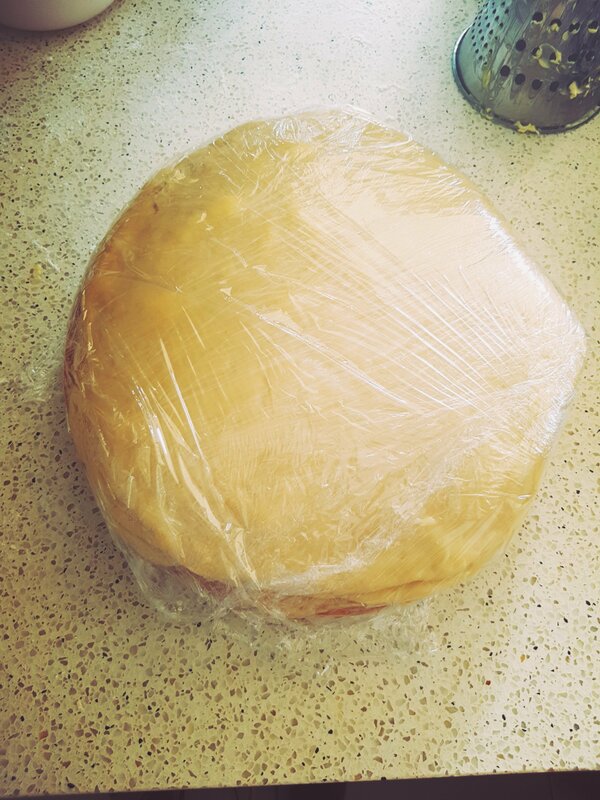 Remove from fridge and deflate since it has doubled in size. Roll and cut into 16 pieces. 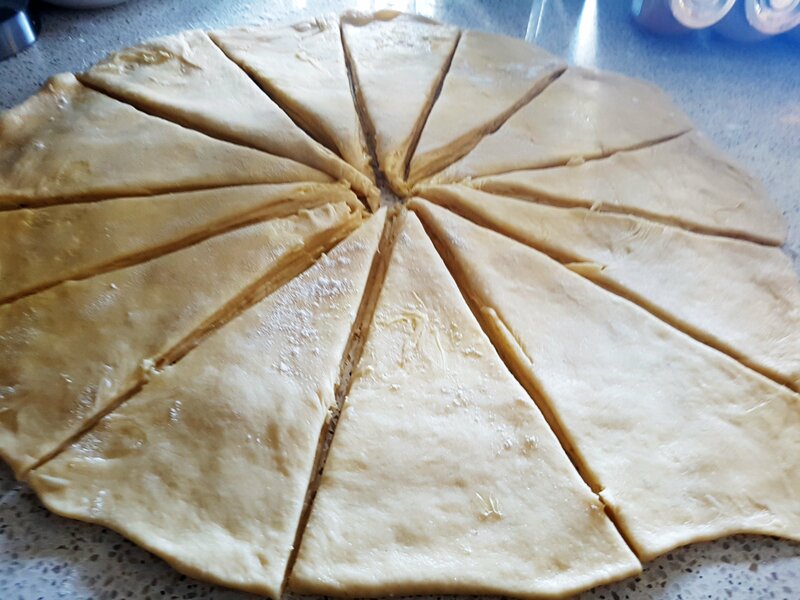 Flatten with your rolling pin each piece and grate butter on it until the last layer. 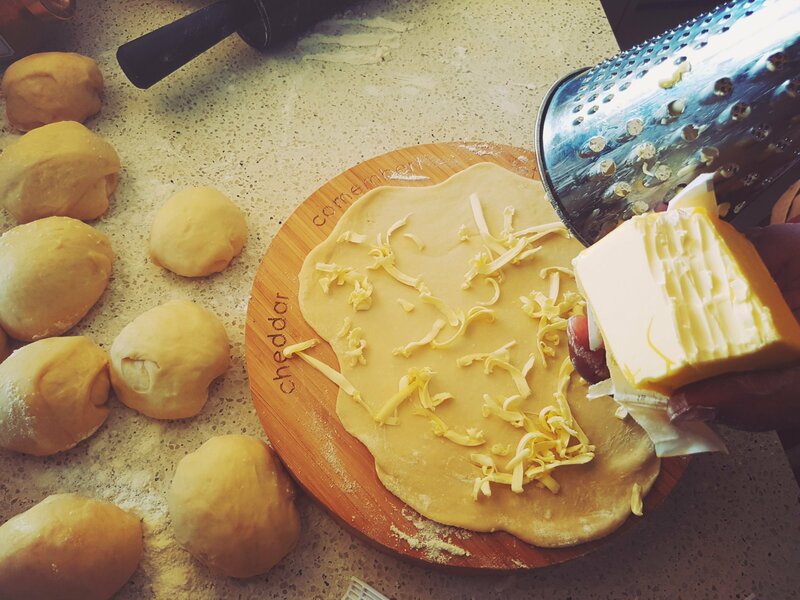 Remove from fridge and roll with rolling pin to distribute the butter. 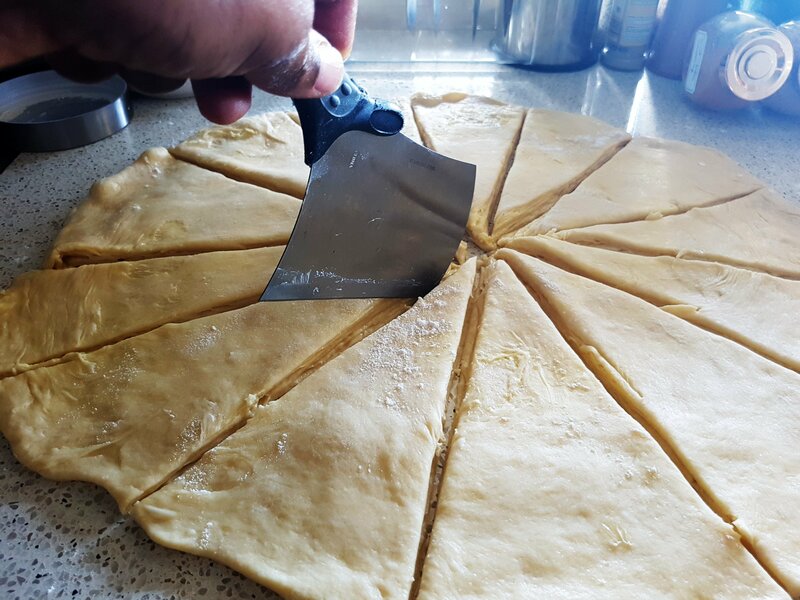 Roll both sides properly and cut into a triangular form. Start rolling each strangle starting from the larger side to the top . You will achieve a nice shape . 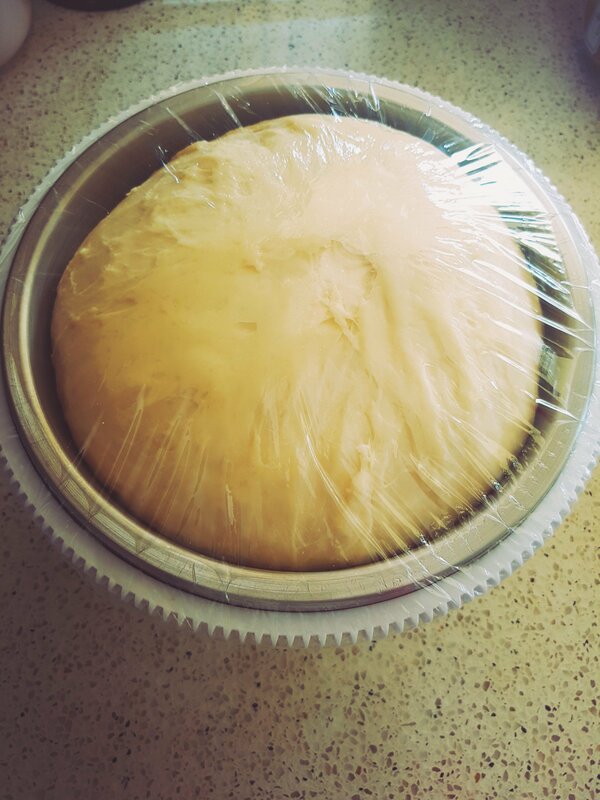 Place dough in the fridge to chill. Give your croissant an egg wash with a kitchen brush. 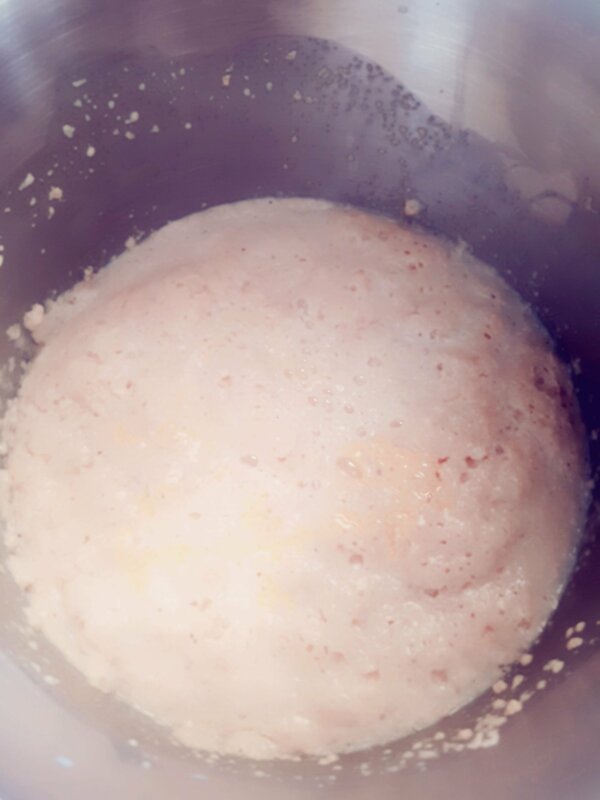 ( Beaten egg with a tsp of milk. 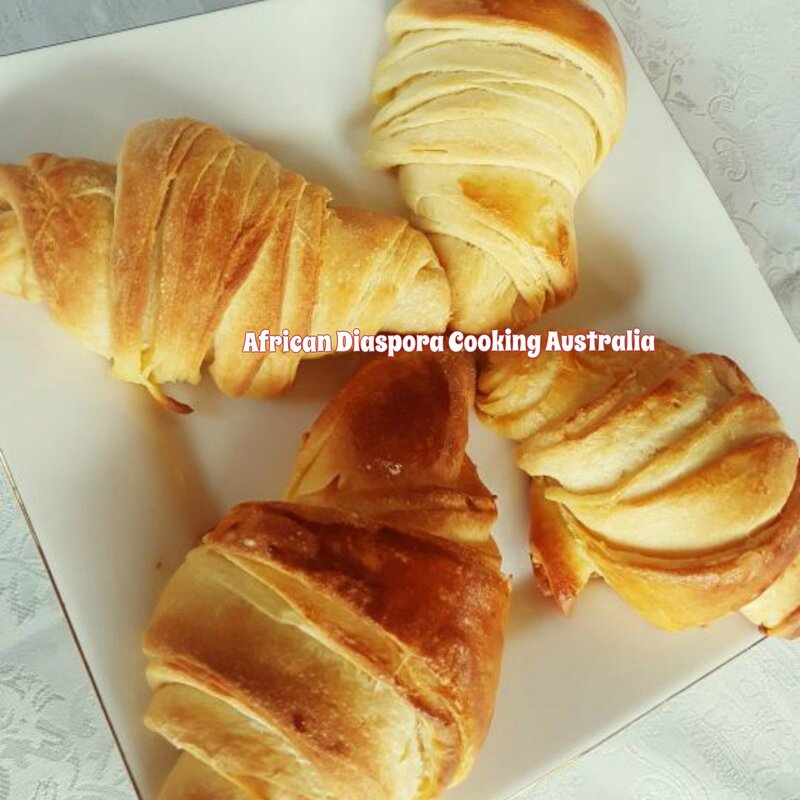 optional , or quickly put then in your hot oven and back or put them back in the fridge and it it a 2nd egg wash.
Place your croisant to tour preheat oven and bake for 20 mins until they are golden brown.